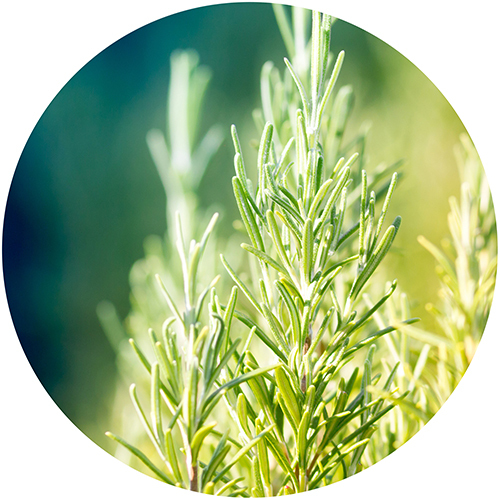 A member of the mint family, rosemary is a perennial herb with legendary aromatic properties. Popular in Italian cuisine and used as a natural food preservative, it contains a variety of powerful antoxidants and other phytochemicals that can promote the healthy functionality of the cardiovascular, immune and nervous systems. Carnosic acid has been researched for its ability to enhance the brain's ability to protect itself from free radical damage, and rosmarinic acid supports healthy levels of neurotransmitters associated with memory and focus, such as acetylcholine and GABA.